The Center for Social Justice invites you to participate in its Fall 2018 CSJ Workshops series. 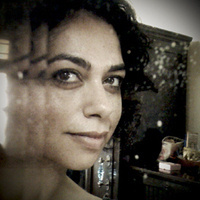 On Thursday, October 4, Kainaz Amaria from VOX.com will present, "The Ethics of Photography." As Visuals Editor, Kainaz Amaria runs an interdisciplinary team specializing in graphics, interactives, photography, data and design. Previously, she was an editor on NPR’s Visual Team. Before all the desk jobs, she was a freelance photojournalist based in Mumbai, India. Her clients included The New York Times, Vogue India, and Reuters. Prior to that, she worked for the St. Petersburg Times in Florida. In 2010, she was a Fulbright Scholar and completed a short film on the Parsi Zoroastrian community in Mumbai. This CSJ workshop is co-hosted by the Journalism Program in the Department of English, under the direction of Professor Ann Oldenburg, and the Georgetown University Library.